Alyn Edwards has been a classic car enthusiast for as long as he can remember. His passion for cars led to the restoration of his wife’s 1960 Corvette which she purchased in 1973. Alyn and Ann still have this beautiful and rare fuel injected Corvette (seen in the picture below). 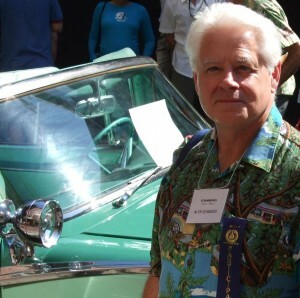 Since then, Alyn has owned and restored dozens of classics with a particular emphasis on rare American convertibles. Visit the Collection page to enjoy photos of several of Alyn’s classics, then venture over to the Sales page to see which cars are available for purchase.